S.A. (Sandy) Simmons, a local entrepreneur, built this Queen Anne Style home in 1904. 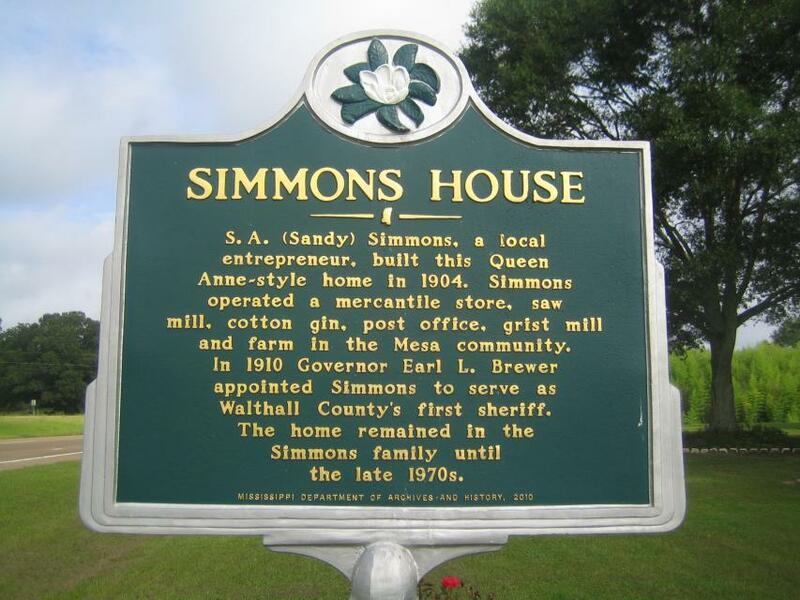 Simmons operated a mercantile store, saw mill, cotton gin, post office, grist mill, and farm in the Mesa community. 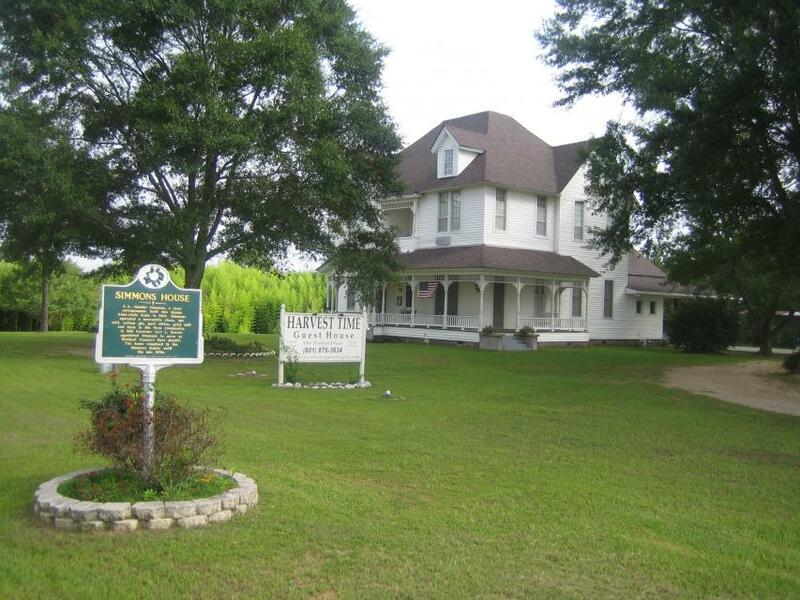 In 1910 Governor Earl L. Brewer appointed Simmons to serve as Walthall County's first sheriff. The home remained in the Simmons family until the late 1970's. This marker can also be identified by its HM code. You can use the hashtag #HMYUA in tweets, and any other place where you might refer to this marker, including when searching on this site.